Sometimes, it’s hard to resist. I’ve got lots to do, but something else clamours for attention. 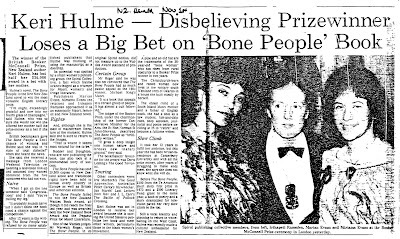 Today, it’s the bone people (always lower case), the only New Zealand novel to win the Booker Prize. First, I had a big cleanup and found a newspaper clipping from 1 November 1985. Here it is—the late Irihapeti Ramsden, me, and Miriama Evans, shortly after we received the Booker Prize on Keri’s behalf. Irihapeti and Miriama wearing korowai lent by George (Geordie) Fergusson. Me in my Moss Bros tuxedo (and white leather sneakers with pink satin laces, best pair of sneakers I ever had). And a tiki that Irihapeti asked me to wear. If you slide the clipping onto your desktop and zoom in, you can read the text. My main memory of the photograph is that the photographer suggested that we stick our tongues out. I think he wanted us to pukana. It was a strange night. No-one knew what to make of Miriama's and Irihapeti's karanga (we were described as 'keening harpies' later, in one newspaper). 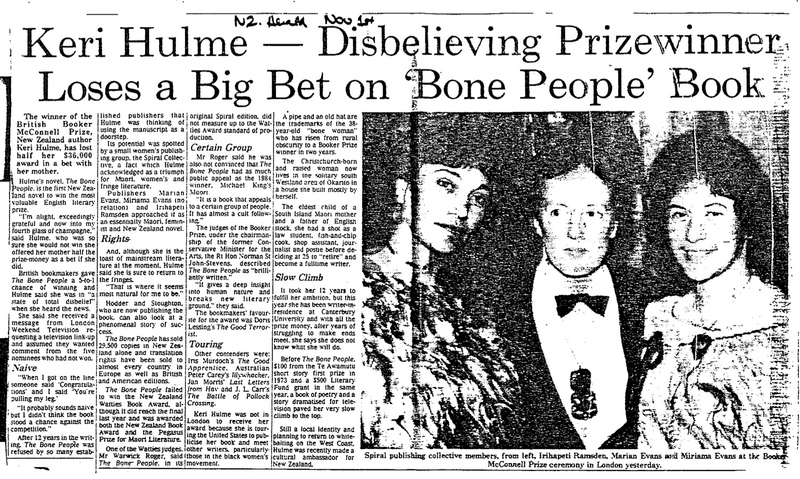 We wanted to talk about the generosity and love that had brought the bone people and us to the Booker ceremony, but we were not permitted to speak (probably a time thing: it was televised and Keri was on the line to speak, from the States). And it was surprising and weird to hold the leather-bound copy of the bone people they gave us, but wonderful later to pack it into a kete for Keri. I think we were also handed a cheque. Did we tuck it inside the book, along with the piece of heather a gypsy gave me, when Miriama and I were coming back from Moss Bros? Then, the other day, I posted about Keri Kaa and remembered her work for the bone people launch. Then, I had a request from American student Jessica Brandi through LinkedIn: would I answer some questions about the bone people, from a publishing viewpoint? And then, last week, Keri Hulme and I fell over each other at the Public Address Hobbit party. Inevitable that there were a few accidents there, with that slap slap slap of comments down the page (where I lurked now and then to read what other writers and filmmakers were saying). And inevitable because New Zealand is soooo small. I didn’t recognize Keri at first, because she wasn’t there as Keri Hulme. She thought I might be me; I wasn’t there as Wellywoodwoman. And the way we confirmed who we were was with dates. A quarter century since the bone people won the Booker Prize (me); more than a quarter century since Spiral published it, on 18 February 1984 (Keri). And Keri told me that although her American publisher had put out a celebratory edition last year, there’d been no celebration in New Zealand. So, by way of celebration, here’s a story, addressing Jessica’s questions. From my perspective only of course. Keri’s story is different. Irihapeti told her story in Chapter 3 of her PhD thesis. Miriama has her story. There are many related documents in the Alexander Turnbull Library, New Zealand’s national research library; collectively they tell another story, too. 2. As you might imagine after all this time, there are more dates involved than those that Keri and I recalled the other night. So here's some backstory, before I address Jessica's questions. Back in the late 70s, I was involved with Kidsarus 2, looking for New Zealand stories with women as central characters (surprise! ), to publish as picture books. Someone suggested I get in touch with Keri Hulme. So I wrote, and eventually got a lovely letter back, about a story Keri had written called (I think) “The woman, the watcher, & the whale”. (Never got to read the story.) About the same time, the other Keri—Keri Kaa—introduced me to Miriama Evans. Then Kidsarus 2 found an office space in Wellington’s Harris Street, where the Wellington Central Police Station is now, just across the road from the old Circa Theatre. The space was too big for a single office, and artists Anna Keir (the very same Anna Keir who just featured in the Sunday Star Times short story awards) and Bridie Lonie (now teaching and writing at Otago Polytechnic’s art school) and I decided to start a national Women’s Gallery there. 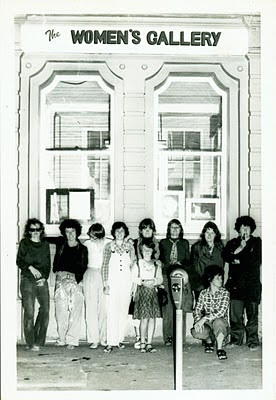 And we invited a group of artists and writers to come for an Opening Show, at the beginning of 1980. One of them was Keri, who draws and paints alongside all the other things she does. Here are most of us in a photograph by Fiona Clark (Joanna Margaret Paul, Carole Stewart and Tiffany Thornley were elsewhere that night). At the end of 1980, we had a show called Mothers—which later toured to public galleries round the country—and I met Irihapeti when she visited the Women’s Gallery to see it. Irihapeti had a lot to say about one of the images, Barbara Strathdee’s portrait of her (Barbara’s) mother, and after that we sometimes met at exhibition openings at other galleries. The Women’s Gallery always had programmes for writers as well as artists, and we came to understand that women writers and artists were often facing similar difficulties in getting their work to readers and viewers. Women writers, for instance, didn’t tour, though men did. 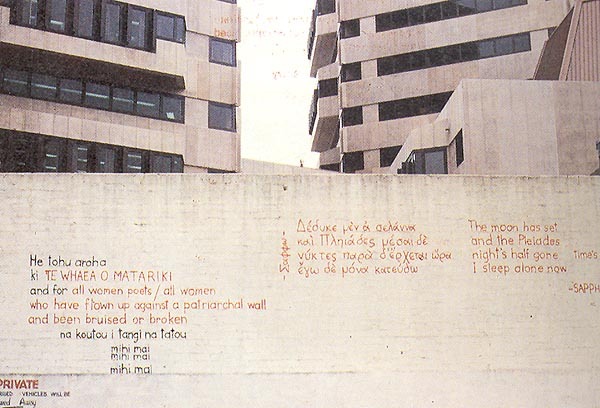 In 1981, Roma Potiki and I attempted to organise a women poets tour, including Keri, Kohine Ponika (in another bit of synchronicity, Ngahuia Wade recently told me that Kohine was her grandmother, and subject of a film Ngahuia has made), Heather McPherson, Mereana Pitman, Adrienne Dudley. Kohine called the group Matariki. We couldn’t get funding. I was bitterly disappointed, and Keri sent me the bone people to read, to cheer me up, a fat parcel of a manuscript she planned to encase in resin and use as a door stop. I was working in a women’s refuge at the time—just before the 1981 Springbok Rugby Tour—and very tired, but once I started reading I couldn’t stop: I lay in bed making my way through the loose pages as fast as I could, dropping each one over the side of the bed after I read it. I think now that the bone people engaged me so strongly because of its violence: it spoke to me about behaviour that was then part of my day-and-night working life. 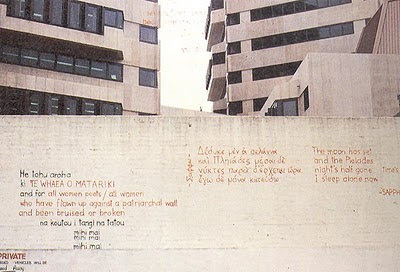 Later that year, thanks to Bridie’s Women & the Environment exhibition, I was able to make a huge mural of texts from Keri, Sappho, Eileen Duggan, Heather, and Mereana, with a dedication to Kohine, Matariki's 'mother'. After that, I was over the Matariki disappointment. But the bone people niggled at me. Jessica, now I've reached your questions. 3. 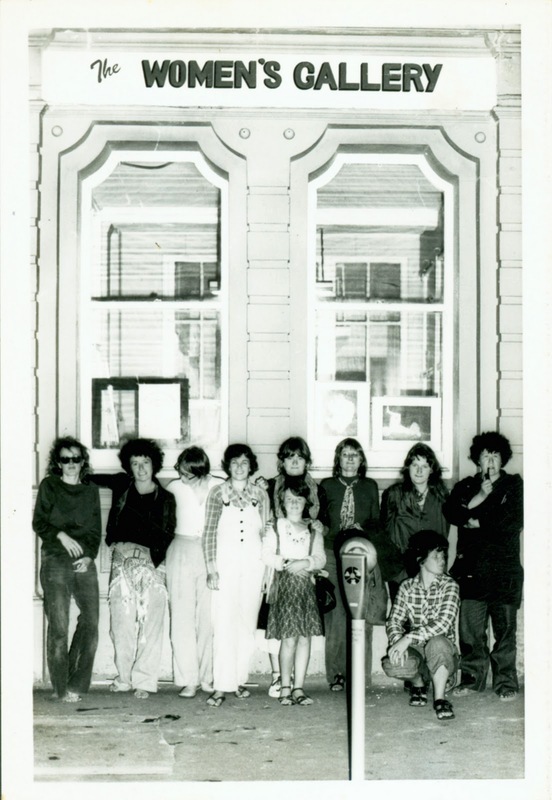 Heather McPherson founded Spiral, as a literary and arts journal for women, in 1976. Herself a poet, she was galvanized when she attended a Christchurch festival poetry reading and counted 13 men and no women poets on the stage. A lesbian feminist, when she came to Wellington for the Women’s Gallery Opening Show, she had been unable to find a publisher for her volume of poems, A figurehead: A face. Also at the Women’s Gallery Opening Show, we’d heard J C Sturm (the late Jacquie Baxter) read some wonderful stories she wrote in the 1950s and 1960s, and learned that she too had been unable to find a publisher for her collection of them, The house of the talking cat. Early in 1981 Anna Keir and I decided to publish A figurehead: A face, using the Spiral imprint, which then became a floating imprint, moving from collective to collective. A figurehead: A face sold out. With Heather’s book, and then with Jacquie’s book, and the bone people, Spiral became a publisher of last resort. I hoped for a long time that another publisher would take the bone people, because it was so long, and therefore expensive to produce. I remember using the phone box near the Women's Gallery to talk with one of our Kidsarus co-publishers, who was adamant that the bone people needed to be edited, though he hadn't read it. He didn't want to see it unless Keri had changed her mind about working with an editor. But because we’d had success with Maori/English editions of the Kidsarus children's picture books and with selling women’s art works, I'd come to understand that some decision makers didn’t want to take risks with writing and images that were too ‘different’ in some way: their view of ‘literature’ and ‘readership’ was limited and problematic. At the Women’s Gallery and as a publisher of last resort I trusted, we trusted, the eye of the artist and the voice of the writer. I knew that, as Jane Austen wrote in Persuasion, “Men have had every advantage of us in telling their own story” for public audiences, whether in words or pictures. Sometimes some of our stories and images were going to look and sound different, odd, sometimes when they explored experiences about which there is often silence. But something very special can come out of apparent awkwardness. And I was intrigued to experiment with ways to make change. The starting point was to trust my own judgment that The house of the talking cat and the bone people had potential audiences (just as the Women's Gallery collective trusted our judgment daily, about art works); and I decided to invite Maori women to be part of the collective for Jacquie’s and Keri’s books. I thought that as publishers they would perceive and do things differently than those who had rejected the books and, who knows, there might be other books out there as well, that I didn't know about but they did. I passed the manuscript on to Irihapeti and to Miriama, not then realising that they knew each other and that they and Keri were related. Irihapeti and Miriama read the manuscripts and wanted to help, and from then on we were a collective of three who visited potential funders and made decisions together. And Anna and I organized the making of the physical objects: the paperwork involved in applying for grants, the proof-reading (oh yes, it was uneven, dependent on the skills of various helpers), the paste-up, with help from Lynne Ciochetto (Jacquie’s when Anna and I were heavily pregnant, Keri’s with the two babies under the light table). Some of the work at 323 Willis Street, the Women’s Gallery’s new home, some of it in the room where I’m writing this. Irihapeti and Miriama were then students with families and other commitments, with little spare time. Amster Reedy; Bill MacKay; Joy Cowley, whose generous help was given “in gratitude for over twenty years of support for women writers”; Juliet Krautschun [now Juliet Raven]; Kathleen Johnson; Keri Kaa and the Maori students at Wellington Teachers College; Maori Writers Read participants and the series organizers Janet [Roma] Potiki and Patricia Grace; [the late] Pauline Neale; and Commission for Evangelisation, Justice and Development (Wellington Diocese) [thank you, Manuka Henare]; Kidsarus; Maori Education Foundation [thank you, Sir John Bennett]; New Zealand Literary Fund [thank you Pat Stuart, especially]; Willi Fels Trust. In retrospect, I think that David Burger and Andrew Evans could, should, have been added to this list. They were always quietly there, helping. Huirangi Waikerepuru deserved a paragraph of his own. Here it is, with deep appreciation. In the process of finding these supporters we learned that we often encountered generosity when and where we least expected it, that supporters within institutions were especially valuable, and that almost all the support came with love attached (which was pretty special). Then there were the production credits, and the people within some of the organisations involved. Keri provided the cover illustration. Basia Smolnicki designed the cover. The Victoria University Students Association gave us a really cheap rate for the typesetting: thanks especially to Margie Thomson and Deanna McKevitt, and to Vanessa Jones and Victoria Hardy there. Thanks also to the printer, Bryce Francis (and to the printer of A figurehead: a face, whose shoddy work helped us learn a lot). And thanks to the Government Printer, and to Daphne Brasell who worked there then and negotiated a heavily subsidised price for beautifully sewn books. (Or did she persuade the Government Printer to donate all the binding costs?) I have only one enduring gripe about the bone people: one of the Watties Book Award judges claimed on national radio that his copy of the bone people came apart in his hand, and when I tracked this information back to the chair of the judging committee I found that it was not true. There was plenty about the production that was problematic (that proofing, the way some of the paste-up faded in the light because we didn’t know we had to protect it, the cut marks on some pages). But the binding wasn’t. The exigencies of collective publishing demand that individuals work in an individual way. Communication with me was difficult —I live five hundred miles away, don’t have a telephone, and receive only intermittent mail delivery, — so consensus on small points of punctuation never was reached. I like the diversity. And then Keri wrote about her feelings about…oddities, the shape of words, how “OK” studs a sentence and “okay” is more mellow, and so on. Finally, “Great! The voice of the writer won through”. Keri wrote further on in her preface: “To those used to one standard, this book may offer a taste passing strange, like the original mouthful of kina roe. Persist. Kina can become a favorite food”. Jessica, you asked about the marketing challenges. There weren’t any. By then, we were reasonably media savvy and Keri was anyway very attractive to interviewers. I think the big launch at the Teachers College in Wellington helped, thanks to Keri Kaa. And thanks to help I remember from Bridie Lonie as we made many many filled rolls from baguettes and ham and tomatoes and cheese. And with support from many guests: Keri’s family, the collective’s families and friends, from Ngai Tahu and elsewhere, Wellington artists and writers. We sold lots of books as cheaply as possible ($12.50), having by then learned that it helps to sell books at a launch or directly, to receive all that income rather than to share it with sales reps etc. We also delivered many cartons of books to Unity Books, a Wellington bookseller which then—as now—was immensely supportive of New Zealand writers. A few days after the launch, Keri and I drove from Christchurch to Dunedin, approaching booksellers along the way. When we reached a little Dunedin bookshop, I went in with my sample copy. The book seller was saying “I suppose I could try a couple” when we were interrupted by a customer, who said she’d heard about a book on the radio (did she refer to a Sharon Crosbie interview with Keri? ), and started to describe what I knew must be the bone people. I held up the book and said “This one?” So I sold five there. Later, Arapera Blank—Keri Kaa's sister—and Joy Cowley wrote wonderful parallel reviews for the Listener (12 May 1984) that were influential. But before then there was a New Zealand-based viral effect. And all without the internet. Or mobile phones. Or personal computers: we had one typewriter at the Women's Gallery, which we shared. For instance, at the Opening Show, Anna and I typed up the catalogue with help from some of the visitors, and Keri used it to write her He Hoha poem. When I first wrote this post, I wasn't sure if there were photocopiers then. But Anna can remember constantly using one, in the old public library which is now the City Art Gallery, in the big downstairs room to the left of the foyer. She recalls being in there with me and Pauline, and often on her own. We sold out the first printing of the bone people very fast, and had to do another. But we hadn’t taken into account that some of the reprint costs wouldn’t be covered by the income from the books we'd sold. Again, the Literary Fund helped. And again, we sold out. Rather than attempt another reprint, we invited commercial publishers to propose co-publication. I think three publishers made formal proposals and eventually Keri chose Hodder & Stoughton, with full support from the rest of us. Hodder & Stoughton in New Zealand was then run by a very lovely man called Bert Hingley, and we all felt very safe and happy with him. He also reprinted The house of the talking cat. I learned recently that when the bone people was first published Joy Cowley sent a copy to Bert Hingley, then her publisher. He was not sure about it. But his wife, Cheryl, insisted that it was the best thing ever. Bert later wrote a nice letter about that to Joy; the letter is stored with her papers in the Mugar Collection at the Boston University. So, as Joy says: Cheryl was “part of the powerful impetus of Keri's great book”. Several times, I've tried to find Bert, who went to Australia. I think Keri has too. If you or Cheryl read this Bert, we'd love to hear from you. I don’t know why the bone people was so successful. People enjoy it (and strongly dislike it) for different reasons. It spoke to some people’s Maori-ness. I think that its compassion for deeply damaged people is important; it gives space for readers to reflect on the pain in their own lives, including the pain they’ve caused, and to imagine what might bring healing. I like it that it probably can’t be adapted for film, that the story stops there in the novel. I like the place of food in it. I’ve read it right through only twice, that first time, and when there was a seminar five years ago. I discovered at the second reading that I appreciated the structure better than I used to; I always found it seductive and satisfying, but now I understand how it works. The Spiral imprint is still there for anyone who wants to use it. I know women writers have problems in the States, but most New Zealand women writers can find publishers and many do well in awards. I think the bone people helped make some changes here, within a literary context that includes other significant women writers: Katherine Mansfield, Janet Frame, and Patricia Grace among others, and because of the institutional support associated with the International Institute of Modern Letters, which I wrote about a while ago. In many ways, the bone people and those other projects provide the model we’re now using for Development. They were all non-profit projects, funded by charitable organizations, individuals, and (sometimes) by the state. The people who managed the projects took women writers and artists seriously, took account of their diversity, and usually worked without payment. They also paid attention to audiences that the ‘mainstream’ tended to ignore. I used Spiral as the charitable umbrella for my Sister Galvan film, and we’re in the process of establishing Spiral Screen Media as a non-profit of last resort for women who want to make feature films. Whew. This has been harder than I thought. May have to change it later on. I hope you feel that this celebrates your wonderful work, Keri. I hope the information is useful for you, Jessica. I hope that the people who helped Spiral will see this and take a moment to congratulate themselves for the glorious outcome of their loving generosity a quarter of a century ago: Aotearoa New Zealand's only Booker Prize. And thank you all from me, for your contributions to what I learned and can now use. Finally, some clips! And an addendum, within the body of this post. The Dompost's Tom Hunt writes a great overview. Marian - as you know, Irihapeti, Miriama & self called you "The Dream-maker" as in, you make dreams happen. Thank you, Marian - what a wonderful post. @ Keri. Thank you very much. Was a little anxious, & now am reassured. I've wondered now & then why I don't see tbp at airports any more. Now I know. And it's good to know I wasn't imagining the heather & what happened to it. @Giovanni. Thank you, lovely to read this from someone who specialises in memory & technology. Marian, it's wonderful to have read your story of how it all happened. It's inspirational. Thank you! Thank you, Helen. I hope nothing directly contradicts that interview of yours, so long ago. My memory not the greatest after all this time, and have been glad to receive some emailed information and then to amend the post. More is always welcome. "I don’t know why the bone people was so successful... And then Keri wrote about her feelings about…oddities, the shape of words, how “OK” studs a sentence and “okay” is more mellow, and so on." As I have said to Kiri, it is THIS that makes the story so wonderful. Simon's story, started as a short story and fleshed out in this book is, to me, up there with To Kill A Mockingbird. Both Harper Lee and Keri Hulme use language so wonderfully to convey truth and to put us in the place. I have, proudly so, the bone people, eight times. And, each time, as I myself, grow as a writer and a teacher of English, become more in awe at the vocab and the syntax but most of us, as you say, THE STORY. I feel still the Westcoast sand between my toes; the weather; am affected by the small community. when I present a lecture on the power of words and I say this: The first time I was really conscious of how words could be shaped and manipulated by the writer was when I read the bone people. I loved that Keri Hulme decided how a word could look on a page – that if you were trying to explain the colour bluey-type greeny-type colour you could write bluegreen; that the rhythm of your sentences could (and should) reflect the meaning of your sentences so, when Keriwan is describing her ascent up the stairwell, I marvelled that I was not only being led up visually, but phonetically and syntactically. I loved that about her writing. Funny eh, how people either love or loathe the bone people but, for me, it was like my quirky, whacked out way of looking at the world and words had found its home in another’s writing. Negative comments about the bone people? It's actually about tall poppy stuff. How dare a woman, with Maori connections, beat the man to the top prize? Those who didn't 'get' the book, never had a life exposed to the underbelly of society. the bone people, in my opinion (which, I suppose, means nothing) is one of the most significant books ever published. Like 'To Kill A Mockingbird', the bone people would have to be one of the most signifciant reads for me. Yeah, Jane Austin and George Elliot yaddi yaddi yaddi. sorry about typos! wahhh hate that. Please, readers, don't go - and she's an English teacher! It's just that I'm shoving this in between teaching and writing and parenting and life! & as for your typos, no worries. Anyone who's read this blog more than once has had to get used to mine. I love this kind of publishing because I can fix typos over time, and re-write. And I can delete posts, too, as happened the other day when I discovered that The Hollywood Reporter did not want me to embed THR's videos (embarrassing, that, when I was so pleased that I'd worked out how to do it). Hi, Marian (just catching up on my late fall reading of Wellywoodwoman!) Loving this convo about The Bone People. I started the book in 2003 while I was living in Seattle and remember the long drive to the South Seattle branch of the public library to find it and pick it up. Just the search for the book led me into a topographically beautiful, and economically poor, area of the city. I started in earnest to read it, then put it down to work on a friend's film and didn't finish it until this year. I returned the book of course, then after my move back to Indiana, I was lucky enough to find a used copy for cheap, determined to read it through. While it's such a rich book (pain, silence, memory, hope...) I found it to be quite stark in its expression of those elements. They are obviously there, but the way they were represented didn't evoke much within me. Maybe I didn't come to it with an open-mind, expecting some romanticized view of New Zealand? Or maybe I'm a sucker for clearly defined heroes and heroines? I found it difficult to find the redeeming qualities within both the characters of Kerewin and Joe. Later, after finishing it, I was angry at myself for wanting such a simple, binary portrait of characters. The characters painted by Keri Hulme in The Bone People, I've come to realize, are some of the most real and most beautifully drawn in any book I've ever read. They DEMAND something of the reader in a way that I'm not sure I've ever quite experienced in my reading before. And not just the characters, but the style and structure -- Hulme's literary aesthetic challenged me. Thanks for this response Kyna. Maybe we can both re-read tbp before you visit, and chat about it over a vegan tbp-type meal. Keri showed me a vegan recipe once that I still use, & wd love to cook for you! And when there was a seminar to celebrate 20 years, I went through tbp looking at all the recipes, to see if we could have them for lunch, so can flick through the bookmarks and see what's possible. By the way, has anyone ever tried to make The Bone People into a film? I don't think it ever should be, myself, but I thought due to its acclaim that someone might have attempted that. I haven't heard anything about it if they have. I still feel the story works best - to use my cliché - behind human eyes, not in front of them. While various media are coalescing in very interesting ways, there are texts/stories that wont be enhanced by film-type adaptations." The 'cliché' is absolutely Keri's own I believe; I've never heard anyone but Keri use it, and I love her idea that some stories work best 'behind human eyes, not in front of them'. Am trying to think of what other stories fit in that category. Maybe you can think of some? Speaking for myself, it is precisely the intriguing nature of the story and the problems of portraying it 'in front' that make it a compelling subject for film. The book works so well on so many levels, but I think that much could be also gained from portraying Keri's New Zealand, the bachs, the fishing, the Tower and so forth. The bone people invites the reader to dwell on the painful, the (super)natural, the personal and interpersonal worlds of Kerewin, Simon and Joe. I can't think of other stories that do this. But I'm willing to bet that any number of talented actors and directors would love to take on the challenge. Thanks for this Marian. I like her phrasing, too. It's a beautiful way to say, I think, that tbp is something to experience rather than witness. I think most stories of people with extreme and complicated pain work best in word form, not visual form (film). When it comes to film, I think it's the very rare filmmaker who can portray the type of pain and layers of human experience in a powerful way, akin to how it's done in tbp as a novel. Film always has its limitations since it's us filming ourselves, trying to make it as real as possible. The human imagination is much more vast than film could ever be, though what we put on film arises from our imaginations. I'd love to talk to you about Spiral's publication of Hilary Baxter's book of poetry The Other Side of Dawn. I want to write about Hilary.